Paramore have added New Found Glory to the line-up of their upcoming PARAHOY! cruise next year! Tegan and Sara are also confirmed at this stage to perform. And right now, if you book (up until 9/20) any cabin other than best available, you will be entered to win a bowling party with Paramore, Teppanyaki dinner with Paramore, a mani/pedi with Hayley and more! 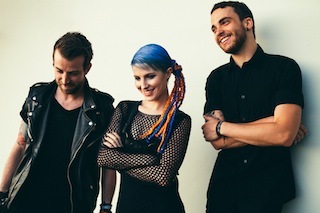 The band's 4-day cruise sets off from Miami to Great Stirrup Cay on March 7-11, 2014 and includes two outdoor shows by Paramore, a Q&A on deck, and great activities hosted by the bands. More information can be found here.